"ECONO-R1" Blue&White G3/400 mhz. We take a clean REVISION 1 Blue & White Tower "easy-open" case design and install a FASTER 400 mhz G3 processor. We install 256 MB of ram, 20GB Refurb Hard Drive and a DVD/CDRW Drive. We have installed an ATI Video Card with 16MB of VRAM. Uses regular PC Style HD15 Monitor Connector. Requires adapter to work with Apple DB15 Monitors. 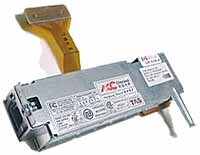 This will use your older ADB keyboard, DONGLES!, mice etc. These systems come with two each built in Firewire and USB ports. Fast 100Mhz bus. 3 open PCI slots for add ons. 10/100baseT built in. These are clean units fully tested and have the latest software updates from Apple preinstalled and are nicely configured. 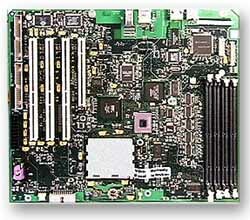 Revision 1 motherboards are best for the older 8.6-9.2 OS. 9.2.2 installed unless specified. KEYBOARD and MOUSE available extra. No SCSI or floppy on this one (available extra). Manuals (.pdf) and free Kitchen Sink CD (a $9.99 value) on system. AVAILABLE UPGRADES (phone in orders): Add a SCSI card $40, Add 56K Internal Modem - $20, Add 256MB Ram - $25, Add Zip 100 Drive - $30. Our Price $249.77 includes domestic shipping. Sell us your old one. I have only 3 of these available. Sell us your old Blue & White G3! 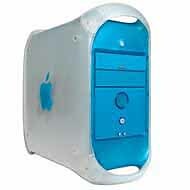 We are buying Blue & White G3 Macs! If you have a unit that is in good shape but is no longer in use we will pay to ship it here and pay you cash. It only needs to power up. We thoroughly erase all data using DOD standards. Top dollar for working Rev 2 Systems, less for the older style Rev 1's. Don't let these end up in a land fill. Email your specs or call.